Gina Cross Stitch Pattern to print online. 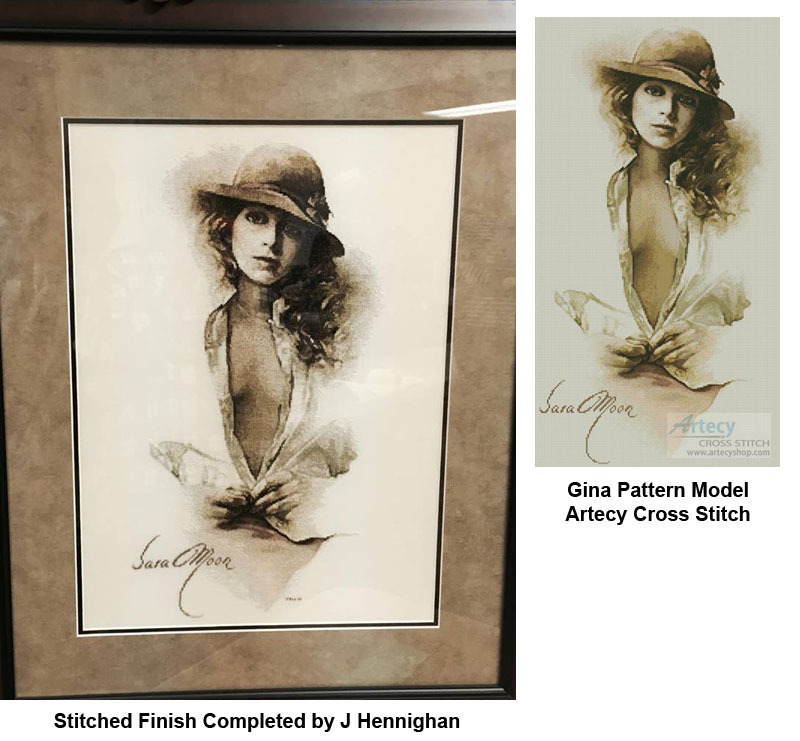 This counted cross stitch pattern of Gina was created from the beautiful artwork of Sara Moon. Original Image Licensed through Sara Moon. Only full cross stitches are used in this pattern. It is a black and white symbol pattern. To be stitched on cream fabric.